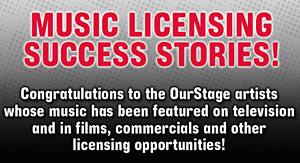 July's "Artist Access" Music Competition is giving rock, pop, country and urban Premium Members an opportunity to go behind the velvet ropes and meet with IMO president/ founder and former Sony Music and Columbia Records chief, Don Ienner. In the nearly forty years of working in the music industry, Ienner has helped further the careers of legends like Springsteen, Dylan, Leonard Cohen, Billy Joel, Pink Floyd and has guided the passage of talents mentioned above. You could be next.